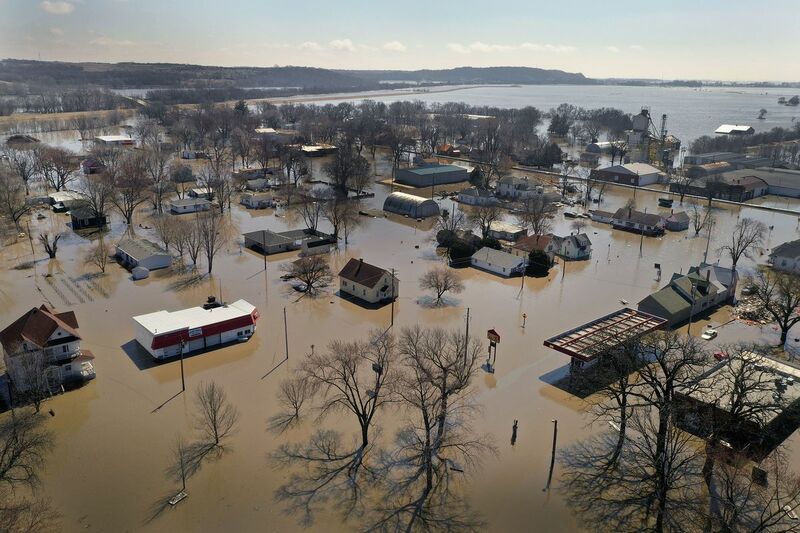 The Midwest floods are going to get much, much worse | "Global Possibilities"
Homes are surrounded by floodwater on March 20, in Hamburg, Iowa, following a massive storm. NOAA forecast this week that flooding in the central US is going to get worse through May. Rivers continue to rise in several Midwestern states as snow from the “bomb cyclone” melts and new rainstorms bring more precipitation on an already soaked region. The flooding, which began over a week ago, has killed at least three people and caused at least $3 billion in damages so far. Rising water levels have breached levees along the Missouri Riverand forced several towns to evacuate. In southern Minnesota, flood impacts spread over the weekend, according to MPR News. In Nebraska alone, the flooding has already caused more than $1 billion in damages, with more than 2,000 homes and 340 businesses lost. More rainfall is expected in the region later this week. 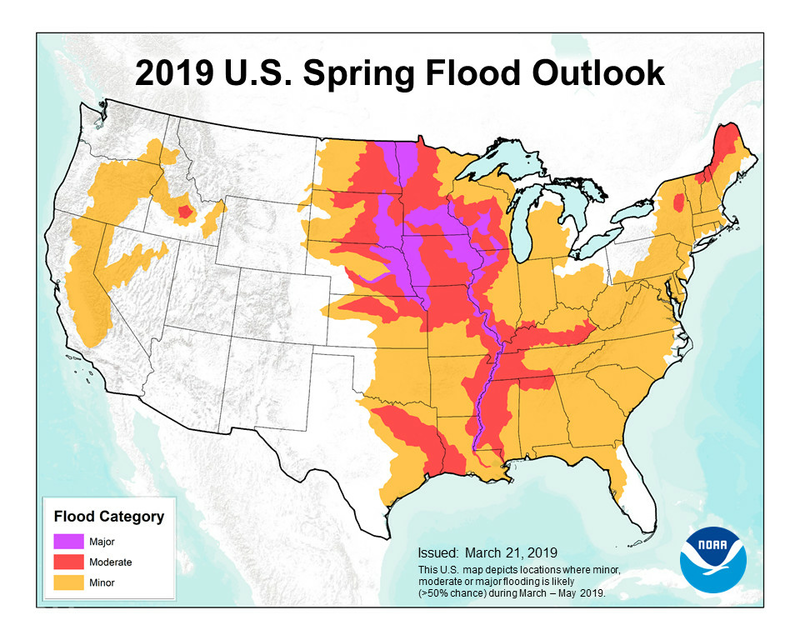 On Thursday, the National Oceanic and Atmospheric Administration’s spring outlook reported that the situation for the central US is soon going to get much, much worse. Does Climate Change Affect Indoor Pollution?